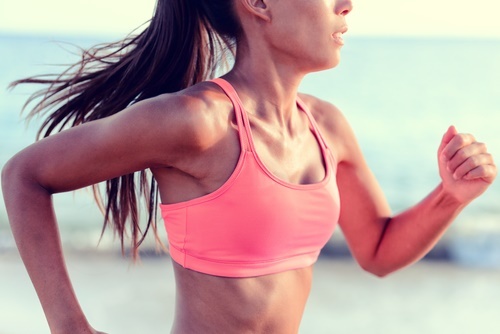 Running is a great source of exercise. It allows you to improve your cardiovascular health and helps burn calories and build strength. Aside from physical health, it is also good for your soul. It improves your mental disposition and will keep your mind sharper as you get older. If you have committed to making running a part of your life, it is vital that you choose the best socks, so you can get the most out of it. When you have the best pair of running socks, you get to have your feet pampered. All the more if you are professionally running, you should consider getting the best gear. But the question remains, what makes the best socks for running? Being a runner doesn’t only mean that you should have the best running shoes, but also the best running socks. What you wear inside is just as important. If you choose the wrong kind of sock, it will rob you of your performance and may cause painful blisters. You wouldn’t want those as you run. Below are some of the best running socks that you can buy whether you’re a professional runner or just committed to running as part of your regular exercise. Considered as one of the best running socks, this hidden comfort socks provides all-around comfort as its name says. 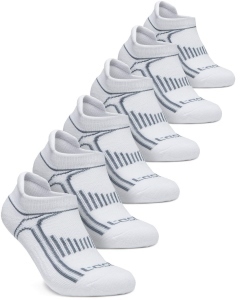 Its synthetic mesh allows it to keep your feet from sweating and getting moisture. Each stride will be softer with these plus it is super durable. With Balega, you can be assured that of quality material and ultra-comfort for your feet when running. This cleverly named running socks is not just known for its name. It actually gives a high performance when it comes to running and it has a lot of amazing features that will really make this worth your money. It’s a solid athletic sock that can even compete with some of the most expensive socks in the market. It has seamless toes, ventilating fabric panels, extra heel cushioning, correct foot design and arch support. This special compression running socks are best if you suffer from shin splints or onset muscle soreness after your runs. 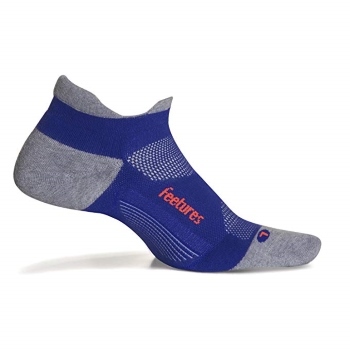 These are great for runners who have foot or ankle issues as they will help reduce the pain. They help fight off plantar fasciitis which is the common cause of heel pain, they are form fitting and improve blood flow. The caveat of this pair is that it won’t likely improve your running performance. This pair of socks is so durable that it can get you through anything from a short jog to a long trail run. Not only that, but they have a lifetime satisfaction guarantee of a new pair if ever you need one. As it’s made from merino wool, you will have the benefits that accompany it like how it regulates the temperature of your feet. It also has a seamless toe which makes it so comfortable to wear and nylon blend that wicks away sweat to keep your feet dry. 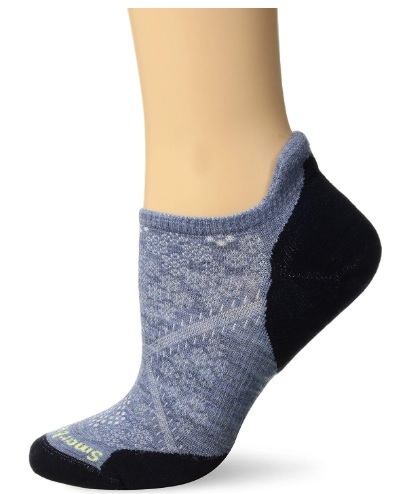 These micro socks have an elastic arch that fits comfortably with the feet and is made from merino wool for warmth and anti-microbial properties. It is made in the USA of imported yarn and is made of nylon for breathability and elastane for flexibility. 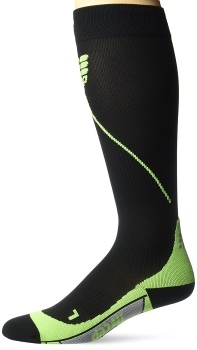 These great socks are all you need for all your running endeavors. 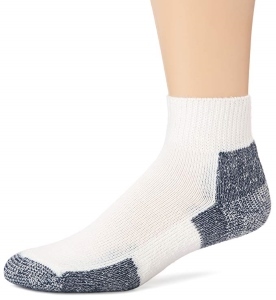 This product may not be a well-known brand in the socks world but these high-quality ankle socks can be up to par with even the most well-known brands. They have a therapeutic edge among others because they are designed for sensitive feet. They are made in the USA so you can be assured of its quality. However, they only have one color, so you don’t have many options to choose from. Nevertheless, you can be assured of its high quality, comfortability, and long lifespan. These pair of socks is made up of merino wool and is very durable. Like all darn tough socks, you also have a lifetime satisfaction guarantee with this one. Since it is made up of merino wool, it has a way of regulating temperature plus it has anti-microbial effects. 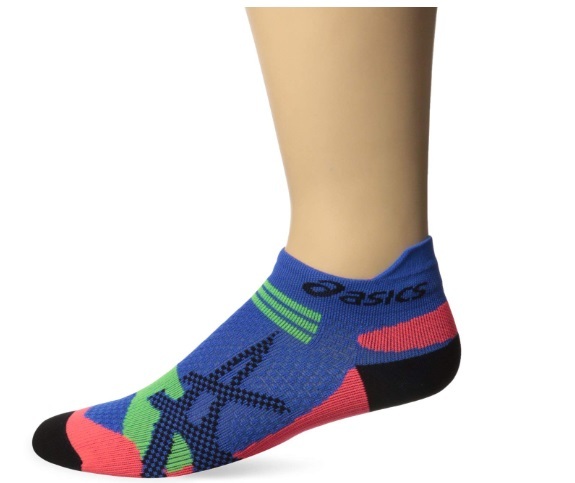 It provides full cushioning through the entire sock and it has a seamless toe for added comfort. 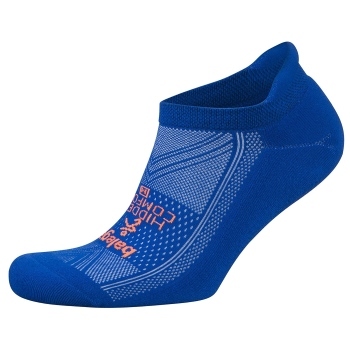 Considered as the world’s lightest running socks, it is super thin weighing only 10 grams for a large size one. It is made up of 73% olefin, 11% polyester, 11% nylon, and 5% elastane. 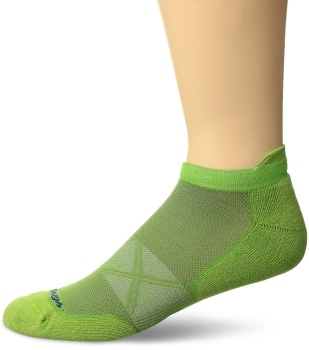 This anti-fungal sock will keep your feet nice and dry and prevents sweat from running amok. It is specially designed with a Dual Layer Moisture Removal System that moves moisture off the skin through the inner layer to the outer layer almost instantly. 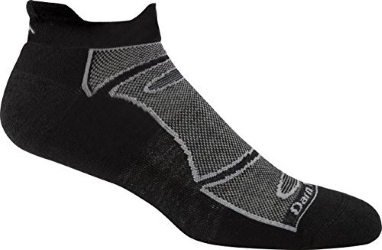 These no-show socks are perfect for running, aren’t very visible and have a low cut. It is made of 65% polyester, 20% cotton, 13% poly span and 2% rubber. It has a large variety of colors, so you can choose from a lot of options. You can be both fashionable and comfortable at the same time with these. Though it is made in South Korea, its quality has been inspected well and since it’s made from polyester and cotton, you can be assured of its durability. There are many types of socks. You can choose from a very soft cotton sock to a merino sock that will not leave any odor in your feet while running. In choosing athletic socks, you ought to choose one that will maximize the running activity while pampering your feet. This means that you should choose one that may help avoid getting blisters. Aside from that you ought to pick something that is comfortable, durable, and has wick moisture to keep your feet dry. Below are some of the things you will need to consider when buying and choosing the best product. Material – Always check out for the materials that make up the sock. Make sure that you are choosing synthetic materials such as acrylic, polyester and nylon since they can help prevent blisters and wick away moisture. With this said, you should stay away from socks made from 100% cotton as they can cause blisters when it’s hot and make your feet cold when it’s winter. A wool blend is also a good choice if you’re running in the winter as it keeps your feet warm. 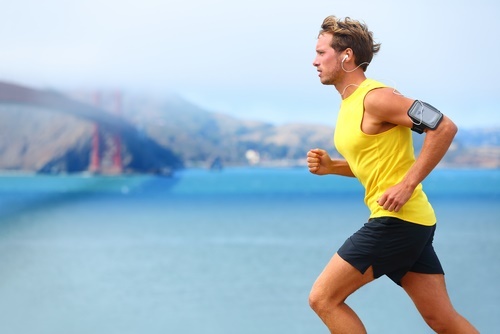 Weather Conditions When Running – Running during summer is so much different from running during winter. So, when you are buying socks for running, you should also take note of when you are going to frequently run. Make sure that your socks during summer are different from the ones you use during winter. Running in the winter may need you to buy thicker socks that is made from wool blend to keep your feet warm. Cushioning – Once you have considered the weather, you should also take note of the cushioning. Now this may be a matter of preference. However, one thing is important—you ought to choose socks with the right cushioning that prevents you from getting blisters. Usage – When, where and how you run will also need to be put in the table when you buy new running socks because this will highly affect your performance and the durability of your socks. Make sure that you buy one that’s appropriate for your running needs. Like for example, if you’re going to be using your socks all day, you may need to find one that is made up of anti-odor fabric for it to last throughout the day minus the odor. 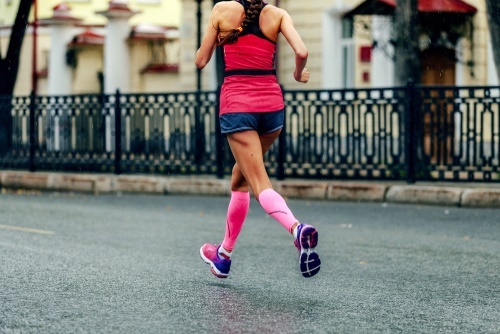 Height – The height of your socks is also important when running as it is not only a matter of preference but can also prevent chafing in the ankles. With this, you can choose mid-calf ankle socks or the crew length running socks. However, if you prefer your socks to be subtle and not showing, you can choose the no show or quarter length socks. Style – Of course you are going to consider the style of the socks as well that reflects your identity and personality. Socks come in different colors, shapes, lengths, and motifs and there’s always one for person. However, you should not trade in comfort for style. Always ensure that the socks you are choosing will help you prevent blisters in your running activities. When evaluating and buying the best running socks, you should carefully consider the pros and cons of each product you buy. You must also consider the materials, the pricing, and how it will work with your running habits and preferences. Last but not least, you should also go for durability and comfort since running may take a toll on your feet.